Looking for a quick dessert? Looking for a big flavor? Well, look no further. 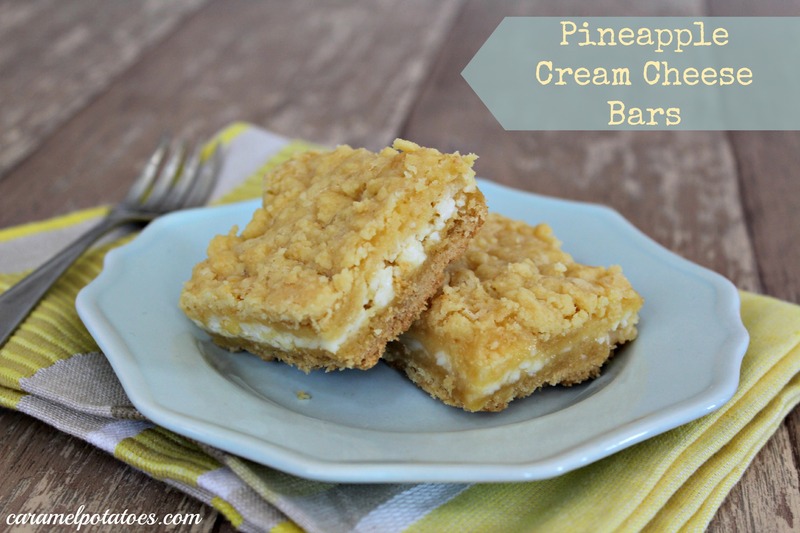 These Pineapple Cream Cheese Bars are so fast and east to put together and are a delicious treat kids and adults will love. These make a perfect dessert for summer picnics and barbecues. Mix cake mix, 1 egg, and oil until crumbly; reserve 1-1/4 cup and set aside. Beat cream cheese, 1 egg, sugar and crushed pineapple until smooth. Spread over baked layer and then sprinkle reserved crumb mixture over the top. Bake for an additional 13 minutes. Cool completely before cutting into bars. Refrigerate for at least 1 hour or until chilled through. Serve Chilled. Ooh! Pineapple & Cream Cheese sound awesome together! 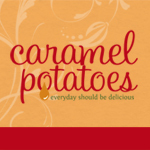 Thanks for sharing at Sweet & Savory Saturdays #10!